Understanding the Book of Mormon isn't for the few, the gifted, the scholarly. This timeless and timely scripture is meant to be comprehended by all. 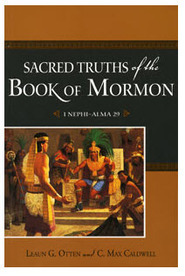 More than just another treatise on religion, the Book of Mormon is religion. It is the gospel of Jesus Christ and it contains some of the greatest theology ever brought together in one volume. This standard work is a pattern for living, an invitation to come unto Christ, and a how-to guide for so doing. Following the tenet that Book of Mormon principles have eternal value only when they find application in the lives of the reader, gospel scholars Leaun Otten and Max Caldwell present a unique scripture commentary. This volume is not a collection of annotations on chapters and verses, nor linguistic notes and explanations of ancient cultural practices. Rather, this book emphasizes gospel principles and doctrinal concepts. It examines those precepts that lead men and women to Christ. Written for both mind and spirit, this accessible commentary invites modern-day readers to liken the revealed scriptures unto their latter-day lives. 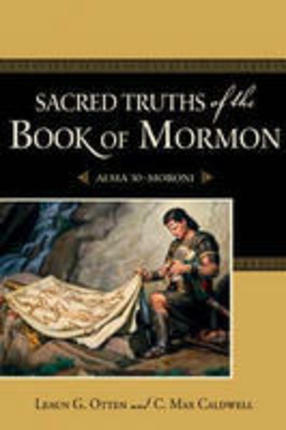 Make your scripture study time more productive with the invaluable Sacred Truths of the Book of Mormon.